Chef Fidelak’s passion for cooking began at an early age while working as a line cook in his father’s restaurant. His skills were honed years later when he opened Maison Louisiane Catering in the fall of 2001 after attending culinary school in New Orleans, Louisiana. Chef Fidelak’s culinary focus is to create signature dishes using inspiration from various cultures while infusing a Southern flair, true to the historic roots of Louisiana cuisine. 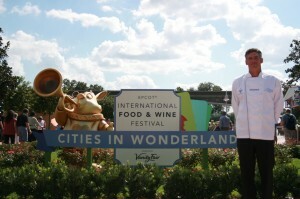 Chef Fidelak was chosen by the Governor to represent Louisiana at the 2008 Epcot Food & Wine Festival at Disney World in Orlando Florida. Chef Fidelak was also chosen as a competitor in the 2017 Louisiana Seafood Cookoff.